I'm unsure when my interest in miso began, but nothing beats it. It's salty, it's savory + it's intense. But beyond adding miso to fish marinades, I haven't explored everything this special ingredient could do. I found this Food52 recipe for miso caramel + was instantly inspired to use miso in a sweet dish. 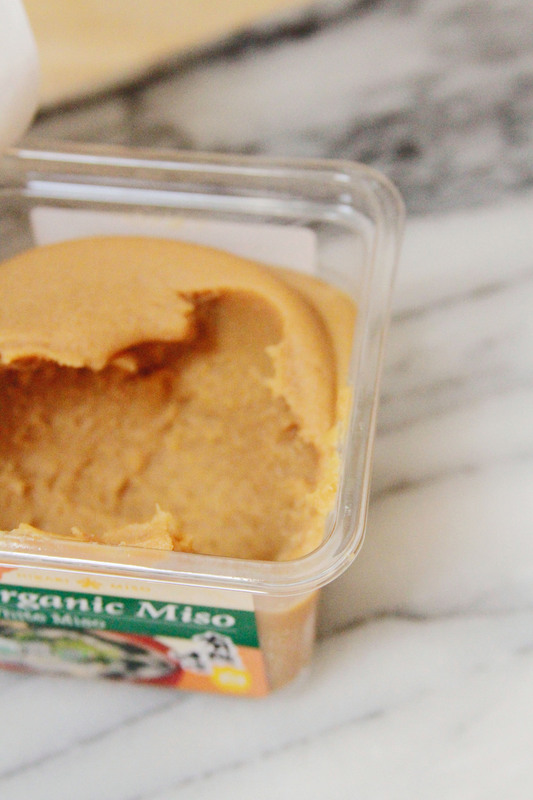 Miso is salty, so it actually works very well with caramel just like salted caramel. Done deal. So next time you have way too many ripe bananas, whip it up. Serve this with some plain yogurt, vanilla ice cream or poured over french toast. It's a good time in a bite. Start by melting 2 tablespoons of butter in a large saucepan on low. Once the butter is melted, add the brown sugar. Stir until combined + the brown sugar is melted. Stir in the miso. Add the bananas, cut-side down to the pan. Since the sugar will be slightly bubbly, take the pan off of the heat to add the half + half. Be careful, sometimes sugar will sputter when you add dairy to it. Bring the pan back on the heat + add the final tablespoon of butter. Carefully spoon the sauce over the bananas, making sure not to break them up too much. Keep everything on the low heat until the bananas are soft + coated. Remove the pan from the heat + serve warm.